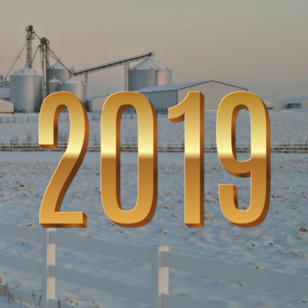 The new year ushers in new state laws, including some of particular interest to farmers and agriculture. During the 2018 legislative session, Illinois Farm Bureau successfully gained passage of a couple of state legislative priorities. Harvest season truck permit – Starting Jan. 1, Illinois farmers gain a new ability to efficiently haul crops on state highways between Sept. 1 and Dec. 31 without requiring a gubernatorial declaration. The new law allows farmers to apply for a free special permit from the Illinois Department of Transportation (IDOT). A farmer may apply to IDOT to haul up to 10 percent more than the gross vehicle weight on a state route, excluding interstate highways. The harvest season permit will allow gross and axle weight overages for a divisible load and the vehicle’s weight to exceed its registered/license plate weight. Farmers are required to check with local road jurisdictions about the possible need for permits on their roads and may need to seek a permit from each road’s jurisdiction. Each jurisdiction can specify the dates for which a permit is valid based on the law designating Sept. 1 through Dec. 1 as the available permit season. Local jurisdictions have the ability to allow or not allow trucks to operate at higher rates on their roads and may waive the requirement to carry a written permit. Covered Farm Vehicle designation – Farmers with vehicles registered for 8,000 pounds or less with specialty plates can now receive a Covered Farm Vehicle (CFV) designation on the vehicle registration card. Vehicle owners requesting the CFV designation must pay an additional $10 surcharge to receive the designation. To qualify for the CFV exemption, the vehicle must be driven by a farmer or employee of a farmer and only used for that farming operation; registered with a farm plate; driven anywhere within Illinois or less than 150 miles outside Illinois; if weighing more than 26,001 pounds; not driven for hire; and not transporting hazardous materials. The law allows a transfer of wooded property from one spouse to another without disqualifying the wooded acreage from the provisions for the assessment of the untransferred wooded acreage. Municipalities may create urban agriculture zones and offer tax incentives to businesses associated with qualified agricultural products. Municipalities would also be allowed to authorize local utilities to offer wholesale or reduced rates for businesses in urban agriculture zones.